So you have probably heard about Huawei. Nice cellphones, relatively cheap prices, gaining a lot of recognition lately. Now, digging a bit more into it. Huawei is an 8 billion dollar valued brand, with more than 85 billion dollars in sales and the third largest cellphone seller (after Apple and Samsung) in the world. 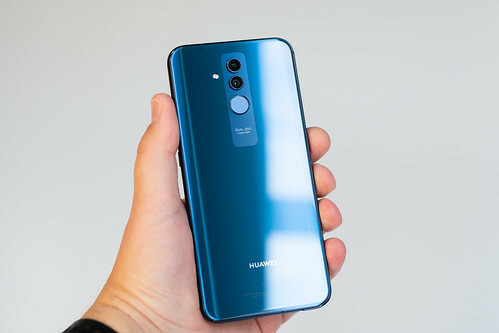 Huawei is a huge company with a lot to lose, due to its rapid growth in the cellphone market. It is a major participant in US-China trade arrangements and a huge pride-company to the Chinese population. On December 1, Huawei’s CFO Meng Wanzhou was arrested in Vancouver due to fraud allegations by doing business in Iran (which has severe economic sanctions imposed by the US) through a Huawei´s subsidiary Skycom. To truly understand this issue, we need to know the US imposed strict sanctions on the Islamic Republic that prohibits its banks, or any other identity of that matter (such as companies like Huawei) to move money into the global banking market. Iran is prohibited to make any significant transaction of money into the global market due to its sanctioned imposed by the US. Now, what does Huawei and its CFO have to do with this? Meng Wanzhou, Huawei´s CFO and key decision-maker in the company, is accused of doing business with Iran (and therefore defying the US economic sanctions) through Huawei´s subsidiary, Skycom. Meng Wanzhou is known for being a key leader at Huawei. As the chief financial officer, she manages the company’s investments in and out of China, including all subsidiaries’ actions and business such as functioning in markets as Iran´s market. The US is currently accusing her of helping Iran enter the economic system, or at the very least, participate in the world market through Skycom (a subsidiary she managed before stepping in as CFO of Huawei) and therefore ignoring all sanctions imposed by the US government. The US alleges Wanzhou managed illegal money transactions through Skycom in Iran and consequently ignored all sanctions imposed on the country. If found guilty, she could face 30 years in jail plus extradition of the country. Currently, Meng Wanzhou was released on a 7 million dollar bail and is considered a risk-flee person. She denies all allegations against her under the argument that she sold all her Skycom shares and quit her in-board position in 2013. Huawei´s CFO is now under domiciliary arrested expecting her next court appearance on February 6th. I am Carolina Nunez. I am a first-year international student at Univerisity of Toronto in Rotman Commerce, pursuing a management specialization. Writing, recording and sharing with people are essential in my life. I seek all the time to get out of my comfort and have great stories to tell. I am passionate about business, people, reading and learning.